TekMiss is owned and operated by Kathy Rausch. An avid entrepreneur and educational speaker, Kathy has over 23 years in the digital media arena with a focus on website strategy, development, and online media. Early in her career, Kathy worked with advertising agencies, printing companies and corporations in the greater Chicagoland area consulting on electronic publishing, typography, and graphic design. In 1994 Kathy founded Interactive Ink, Incorporated, an interactive agency, in her Columbus, Ohio family room. The first website Interactive Ink launched was ColumbusRealestate.com in 1996 (The Columbus Dispatch now owns ColumbusRealestate.com). During this time, Kathy managed as many as 20 employees, supervised customer support, developed sales and marketing plans, planned and helped in the implementation of hundreds of websites, CD-ROMs and database applications. Interactive Ink was sold in 2007. 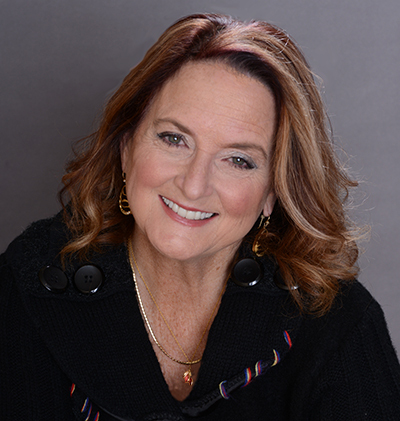 Kathy launched her public speaking early in her career and has since facilitated dozens of educational speeches, workshops and seminars at national conventions, within corporations, and for government agencies. Having worked with everyone from entrepreneurs to government agencies, Kathy’s focus, through the services of TekMiss, has transitioned to helping small business owners and non-profit executives learn the power and excitement of online marketing. Now, as a ‘conscious entrepreneur’ TekMiss helps small businesses achieve Purposeful Online Marketing through maximizing the impact of their website, email marketing and social marketing efforts. Easter Seals of Washington D.C.
Kathy attended the University of Wisconsin where she discovered the new Macintosh computer and “Desktop Publishing” and her passion for all things technical was born. While moving text around on the screen, changing fonts and sizes, she realized this was the future, HER future… and launched her entrepreneurial career. One of Kathy’s clients was being interviewed about “cottage industries.” He was telling the story of how he had just been at Kathy’s house for his logo design, and while her 1.5-year-old son was hugging her legs, she was showing him his logo which she had printed off her LaserWriter. He spoke of how Kathy was able to move elements of the logo around on the Mac and then print it again. This was almost unheard of back then! Ongoing education has always been a critical part of Kathy’s personal and professional life. Since starting her first company in 1986, she’s studied and attended conferences at UW Madison, Macromedia (before Adobe bought them), IBM, Digital Kids, Columbus College of Art and Design.Â She’s been a member of Toastmasters, and on the board of directors for several non-profit agencies. Kathy’s lived in Madison, Wisconson; the greater Chicagoland area; Columbus, Ohio; downtown Washington, D.C and on the riverfront in downtown Cincinnati. Currently an Ohio resident, she remembers fondly the recent days she lived on 5 acres in Whitewater, Wisconsin, taking care of family while she continued to work internationally with a DIAL-UP connection! Kathy’s still not exactly what she’ll be when she grows up, or where she’ll end up, but she knows for sure that she loves technology and home is where her heart is. She lives in Columbus, Ohio with her husband (of 37 years!) Tom Rausch.